Versatile Scoop: Woman Sets Ex Lover on Fire! Woman Sets Ex Lover on Fire! The police in Benin, the Edo State capital, southern Nigeria, have arrested and detained a 35-year-old woman, Esohe Ogbewei, for allegedly setting her ex-lover ablaze. 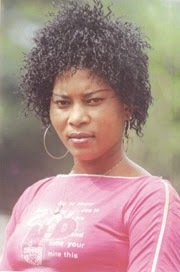 Esohe was said to have poured petrol on her victim whose name was given as Peter Osayi, before setting him ablaze. The severe burns the victim suffered led to his death. 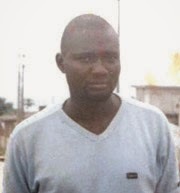 It was reliably gathered from the Osayi family members that the deceased had a dispute with the suspect and she invited him for settlement. According to the family sources, it was during the settlement that the suspect allegedly poured petrol on her ex-lover and set him ablaze. Osayi was said to have been rushed to the University of Benin Teaching Hospital (UBTH), where he allegedly died a few days later. Esohe was subsequently arrested and the case transferred to the Homicide Department of the State Police Command. The suspect has two children for the deceased ex-lover. The victim’s brother who gave his name simply as Moses, urged the government to ensure that justice is done to avenge the death of Osayi. Edo Police Command spokesman, DSP Uwoh Noble, who confirmed the incident, said investigations were ongoing in the matter.